And the price will depend on the time. 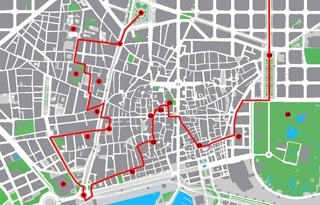 It includes the lunch and/or the dinner, the entrance of monuments (museums, Sagrada Familia, Batllo House...) and transports (metro, bus, tramway and/or taxi). It may include something special like a luxury car, a limousine, a yacht, parachute, paragliding, wedding, anniversary, gourmet, a month... In this case, it is necessary to highlight it 48 hours minimum before our meeting and I will confirm you if the impossible is possible. NOTE: for tapas/lunch, food/drink are included in the price and we will go to different local places to eat their specialty. Remember that the itinerary is especially personalized by and for you so drink/food places will depend on it too. If you prefer to start at an hour out of the schedule, just let me know. Read some testimonies, click here. 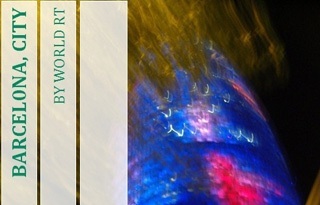 to send me an email to wrt@world-rt.com with your wished day(s) and tell me everything. Within 24 hours, I will answer you about my availability and all asked questions. Or use the form below to contact me. If all is OK, you will have to pay by paypal with your credit card or with your paypal account (official website). Alternatively, you can pay cash when we will meet. 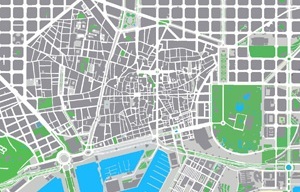 As complementary to this walking tour, you may be also interested about the Itinerary Designer Barcelona. It can be booked with or without the Itinerary Friend Barcelona. This option is to create a custom-built itinerary especially made for you including detailed mini maps so you will walk alone or with your(s) friend(s) without getting lost. 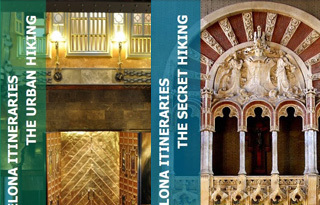 The other option to walk without a guide, it is to buy my 2 books Barcelona Itineraries, The Urban Hiking and the Secret Hiking, each one contains the best and essential of Barcelona with 22 original itineraries. If you choose to visit a paid venue, you will have to buy me a ticket if you want me to come with you (museum, Sagrada Familia, Mila house...) except for the VIP tour. If you choose to take a taxi, you will have to pay the ride for me except for the VIP tour. For any special itineraries (group, company, bike, roller...), please drop me an mail. Would you be free for a daytime walk for four hours on Thursday the 21st or Saturday the 23rd? We like to walk around Poble Sec.